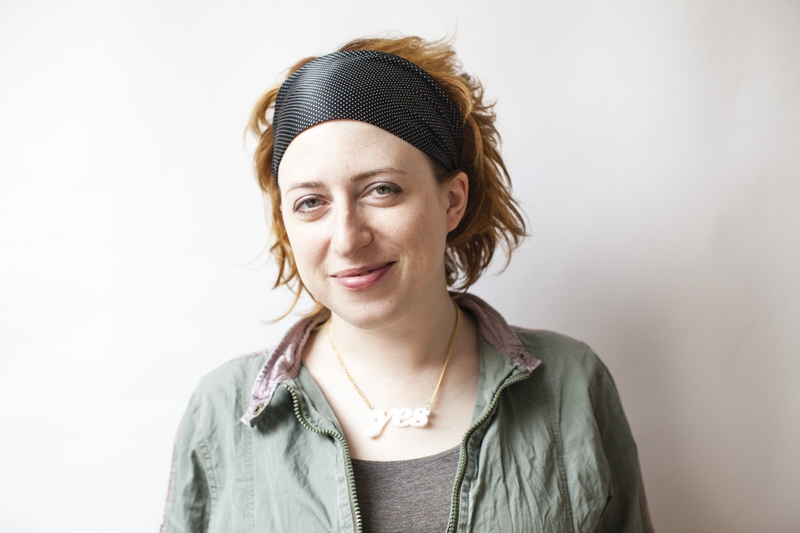 Our guest today is Sarah Bee, a journalist and author living in London. 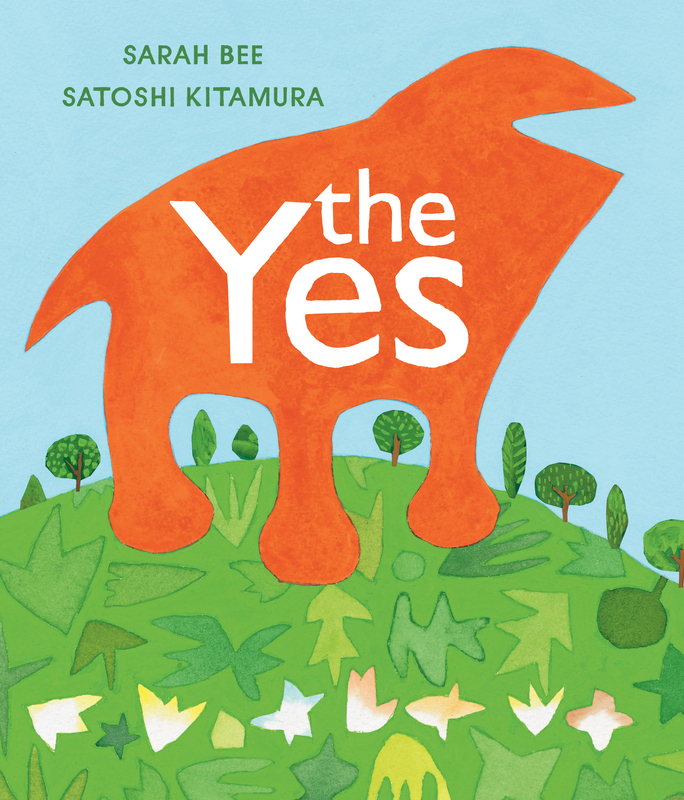 Her first children’s book, The Yes, is being released in the U.S. today. The Yes is the story of “a great big orange thing” that, trundling out into a world full of Nos, learns to triumph over the (quite literal) naysayers. What’s the story behind The Yes? In 2011 I was at a rather low point in my life and felt like I’d run out of steam in a very big way. I was struggling to find meaningful work or even work that would pay the bills, and I figured I’d probably never fulfill my writing potential. I had long discussions with my best friends about all this, all of us trying to figure out a way forward and how to give some kind of expression to the stuff we had inside. They said that life has to be a yes rather than a no, because it’s something rather than nothing, and that’s a good place to go back to when you feel like things are hopeless. This gave me a thought about a picture book featuring a Yes in a land of Nos. It was inspiring to think that no amount of doubts or insecurities or negativity could ever beat the unstoppable momentum of living: the instinct to forge ahead and keep going, allowing everything that isn’t significant to fall away. I thought it would be a good thing to try to put down in words and communicate to others, but it was such an abstract idea that I couldn’t quite grasp it. I almost forgot about it until the subject came up again a few weeks later, and I mentioned it to them in passing — they pretty much jumped out of their seats and said it was a great idea. We sat up all night working out what would happen in the story and how, and what the Yes might look like. I went away with all the scribblings, made some more notes, and then a week later at 10 p.m. on a Sunday night I sat down and wrote The Yes. It was finished by 2 a.m., and the published book is only very slightly changed from the original manuscript. It was one of the easiest things I’ve ever written, but I had spent 33 years working up to it! 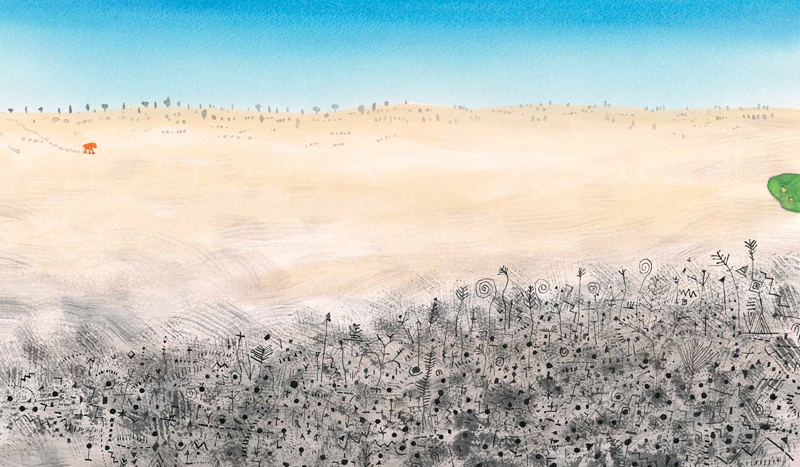 What are your thoughts on Satoshi Kitamura’s illustrations for the book? 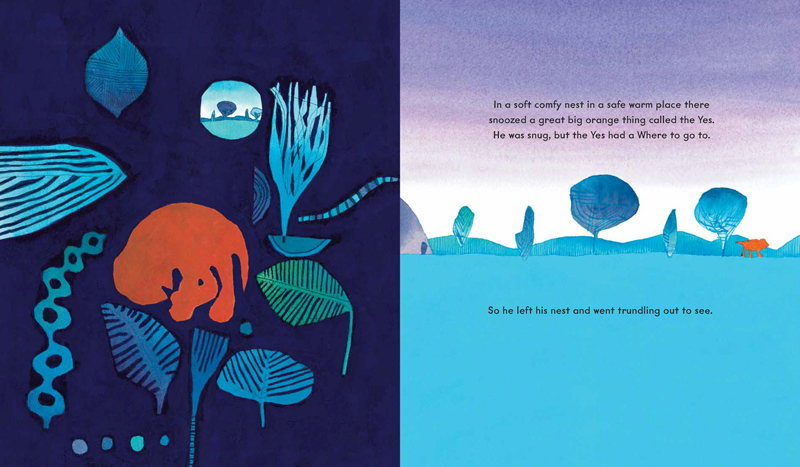 It was very daunting to hand over the story to an illustrator — I had to brace myself as I knew it could never be like it was in my head. But Satoshi is one of the best illustrators in the world, and has been working on picture books for almost as long as I’ve been alive. So it was pretty humbling to be set up with him, and I knew he’d do a great job. He brought so much out of the text that it was quite mind-boggling. I had imagined the Nos as ugly mosquito-like creatures, but Satoshi went further and reduced them to tiny faceless black scratches. I love the first view of the Yes, curled up in his nest — like he’s about to be born into the world. Then when he first faces the masses of Nos in the huge desert of the Where, he looks so small, but still so sure of himself. We communicated by email and I gave Satoshi my notes on his draft illustrations. The Yes looked more fox-like at first, more like a spirit animal with pointy ears and a bigger tail. I felt he needed to be simpler still, and Satoshi ended up making the Yes into the simplest, happiest creature you could imagine. I was taken aback at first by the fact that the Yes didn’t have any eyes — but then I thought that the Yes is a purely confident and instinctive being, so why does he need to see where he’s going? I thought it was a very bold artistic decision — totally Yes-like. I can’t imagine the illustrations being any different — Satoshi really made The Yes what it is. It always makes me smile to look at the cover, and I think it would even if it weren’t my book. Whom do you envision reading The Yes? I would like for everyone to read it! Naturally it will mostly be read by children and their grown-ups, and the idea couldn’t have been anything other than a picture book, but I don’t think picture books are just for kids. Children’s books need to be appealing to adults because it’s adults who’ll be reading them, again and again and again — but I think adults can get a lot out of these books themselves. I hope adults will find it uplifting and reassuring. And of course I hope small children will enjoy shouting along with the Yes and the Nos — I’ve done some very noisy readings indeed, and hope to do many more. I was given The Little Prince when I was about five or six, and was completely swept away by its mystery and poignancy. I still read it now. I also loved the Nigel Molesworth books which showed me how much nonsense you can get away with — they’re very English, and even though they were written in the 1950s the silliness of the prose is timeless. I adored Maurice Sendak and Dr. Seuss too, and read almost everything Roald Dahl wrote for children — he wrote for every age and I really grew up on his work. The Twits is one of my favorites of his — it’s incredibly disgusting, and so dark I’m amazed they let him get away with it. Ideas want you to give them life, and at a certain point they will take over, but you still have to do most of the running at first. You don’t know which idea might be the best one you’ve ever had — it won’t always jump out at you right away, and you may not always have a friend who’ll jump out of their chair to point it out to you. So write everything down, keep everything, revisit everything. And know when to let the idea do its own thing, because if it is a good idea, it will eventually give you the feeling that you can almost take your hands off the keyboard and let it write itself. Click here to order, and learn more the book and Sarah Bee by visiting and Sarah’s website and following Sarah on Twitter, @sarahcrbee.